8. 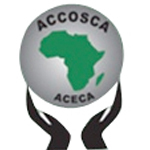 Unjustified levies on SACCOs' and members' funds. This is the oldest program at KUSCCO having started in 1974. 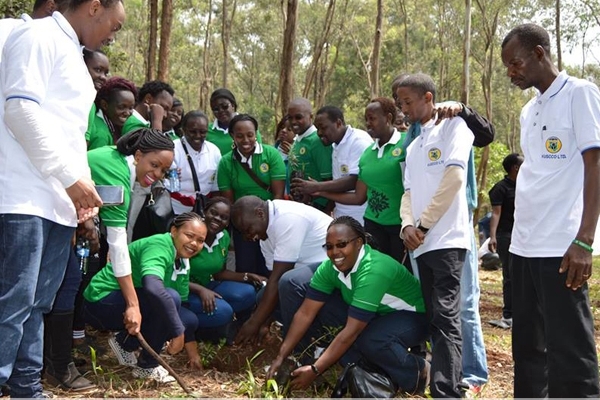 Through the program, SACCO officials, staff and members are educated on governance issues, financial management, human resources, taxation, asset and liability management, among others. This is the inter-lending facility for all SACCOs affiliated to KUSCCO Ltd and operates on the same principles as the SACCO Societies. It mobilizes funds within the SACCO Movement, extends the credit boundaries and accelerates the lending capacities of SACCOs. 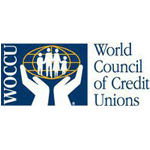 The program also offers attractive interest rates on the deposits made. In an effort to empower the Youth, the Central Finance Fund through our Front Office activity; KUSCCO SASA Account partnered with Youth Enterprise Development Fund in the disbursement of funds to the youth, so as to enable them establish income generating activities. The department has also partnered with USAID through Winrock International in growing the renewable energy sector, by financing purchase of clean and efficient cook stoves to SACCO members. 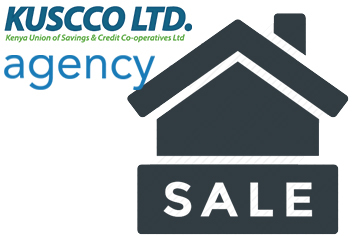 KUSCCO Risk Management Services provides SACCOs with a fund that gives them mutual protection against loan losses. This enables them to co-operate horizontally and also spread their risks among fellow societies. 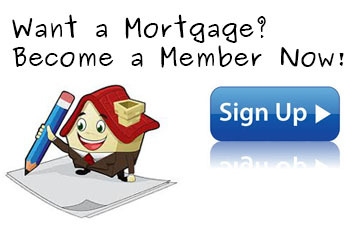 The programme covers loans to members, committee members’ risks, funeral expenses and member savings. The KUSCCO Housing Fund founded in 1996 is arguably one of Kenya's affordable and highly patronized housing schemes. The Union has disbursed around Kshs. 1.6 billion to individual SACCO members to buy land, purchase houses and for home construction. In an effort to steer the co-operative sector further towards satisfying the requirements of Vision 2030 on adequate housing, KUSCCO Housing Fund remains the principal financier of low cost housing. 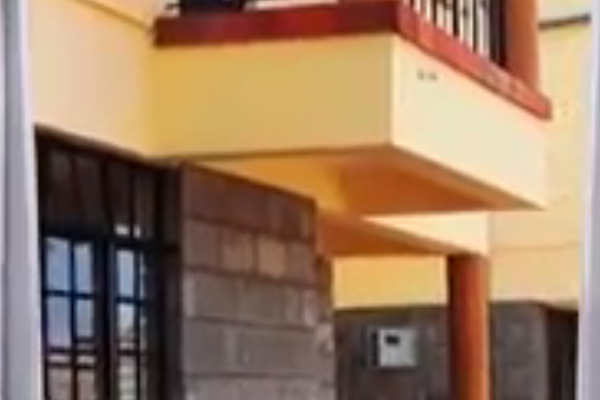 In 2012, the fund built apartments in Milimani, Kisumu which were sold out. The fund is currently constructing 120 three bedroom maisonettes in Kitengela, standing on 1/8 of an acre, per unit. 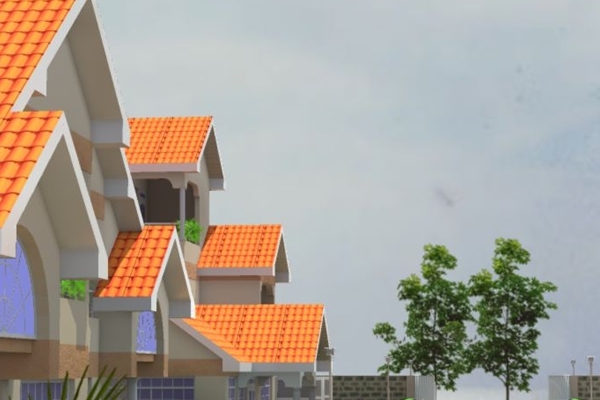 The homes are in a gated community, have detached servant quarters, swimming pool, individual land title deeds, 24 hour security and many more features. Some of the consultancy services provided to our affiliates and include strategic/business planning, feasibility studies, training needs analysis, salary and benefits survey, job evaluation and development of job descriptions, organizational development and restructuring among others. 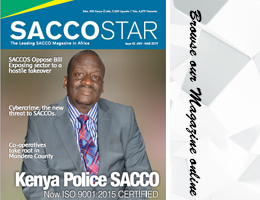 Front Office Service Activities were introduced to SACCOs in Kenya by KUSCCO and to date, the product has revolutionized the movement. Ministry of Industry Trade and Cooperatives Kenya:This is the ministry under which SACCOs fall.The mandate of the Ministry is to promote and facilitate Industrialization in the country. The Vision is to transform Kenya into a globally competitive, regional industrial hub in line with the Kenya Vision 2030. Currently, there are over 14,000 registered cooperative societies, of which 5,000 are SACCOs. 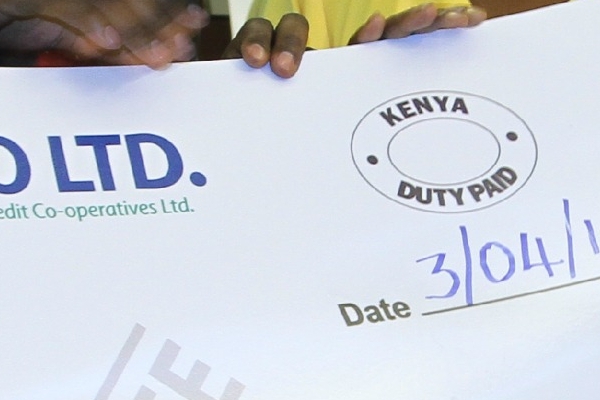 Co-operatives have mobilized domestic savings to the tune of about Kshs. 400 billion, accounting for 33% of the national savings and are major drivers of the economy. They have an asset base of over Kshs. 300 billion. About 63% of the Kenya population directly and indirectly depends on cooperative society related activities for their livelihood. International Cooperative Alliance (ICA): An independent, non-governmental association which unites, represents and serves cooperatives worldwide. ICA has 248 member organisations from 92 countries active in all sectors of the economy. Together, these cooperatives represent nearly 1 billion individuals worldwide. 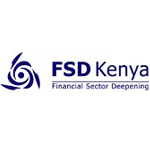 Financial Sector Deepening (FSD Kenya): Was established to support the development of financial markets in Kenya as a means to stimulate wealth creation and reduce poverty. It operates as an independent trust under the supervision of professional trustees, with policy guidance from a programme investment committee. 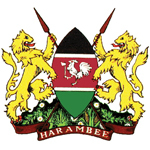 Finance is provided by a number of development partners working with the Government of Kenya. Current donors include the UK’s Department for International Development (DFID) the Ministry of Trade and Industry, World Bank and SIDA (Swedish International Development Agency). Internationale Raiffeisen-Union (IRU): A worldwide voluntary association of national cooperative organisations, based on the principles of Friedrich Wilhelm Raiffeisen, the founder and pioneer of the worldwide cooperative movement. 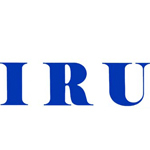 IRU principles include self-help, self-responsibility and self-administration. More than 900,000 cooperatives with an estimated 500 million members in over 100 countries are now working according to Friedrich Wilhelm Raiffeisen's principles. 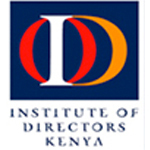 Institute of Directors Kenya (IOD): is a non-political professional organisation of individual corporate directors and senior managers committed to the professional practice of corporate directorship in Kenya. The Kenya Private Sector Alliance (KEPSA) is the private sector apex and umbrella body set up in 2003, to bring together business community in a single voice to engage and influence public policy for an enabling business environment. 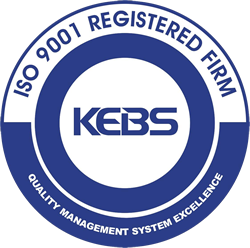 The Kenya Private Sector Alliance (KEPSA) is a limited liability membership organization. With current membership of over 100,000 direct and indirect members organised through Business Membership Organizations and Corporate members, KEPSA is a key player in championing the interests of the Kenyan business community in trade, investment and industrial relations. The Jiko Safi Fund was developed under the United States Agency for International Development (USAID) and Winrock International Developing a Sustainable Cookstove Sector (DSCS) Program. The goal of the DSCS program is to develop sustainable cookstove markets that will lead to widespread adoption of clean, efficient cooking solutions.  The program is being implemented at and can be accessed by KUSCCO’s network of member SACCOs to on-lend to their individual members for the purchase of fuel-efficient cookstoves. Climatecare/Pamoja Life - Pamoja Life focusses on the sale of high-quality household energy devices targeted to the Base of the Pyramid (BoP). Pamoja Life has recently acquired the staff and networks of Sola Yetu, a Nairobi based company which has built a relationship with KUSCCO and Winrock International over 2years. Using KUSCCO’s network of SACCO, the company is working together with KUSCCO to offer household green energy devices.